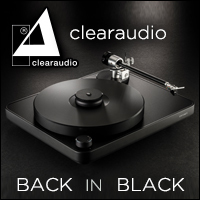 Tracking through Jaco Pastorius’ debut album via a pair of RELs new Carbon Limited subwoofers, there’s definitely something different from the way the low frequencies are rendered compared to what I’m used to on my REL 212SEs. Our Product of the Year-winning 212’s provide a level of power, weight, and definition that are unmatched in their price category, the Carbon Limited throws a curve ball into the mix. The 212s weigh in at $4,200 each, the Carbon Limited’s are $3,500 each. Do you choose the mid-grade Porsche 911, or do you get the similarly priced, not quite as fast, but more nimble (and in much more limited quantity) Cayman GT4? Hmmm. Just like Porsche’s best kept secret, RELs Carbon Limited subwoofer might end up being revered in the same way. REL has performed a similar feat of engineering with the Carbon Limited. 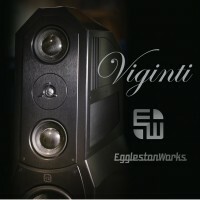 Utilizing one of their carbon drivers from the current G-1 MKII sub, the passive radiator from the 212SE, and goosing the amplifier from the highly successful S/5 SHO, results in a compact, high performance product like no other, and nothing else in their line. Like the GT4, the Carbon Limited, due to the amount of hand fit and finish work (more about that later), will only be made in small quantities. 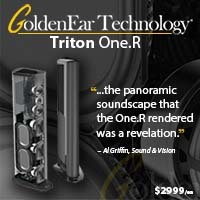 So, if you want one, get to your dealer now and place an order. In a recent chat with REL’s John Hunter, he reiterates a bit of information from a recent REL Blog post, telling me that this was a “what-if, dream project.” A fellow car guy, we’ve always pondered what might be available if you could go to the parts bin with unlimited access and just make exactly the car you wanted. A similar thing has occurred with the Carbon Limited. 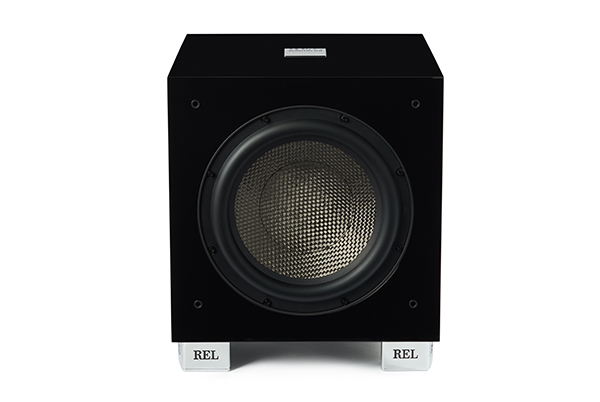 The CL features REL’s medium sized enclosure from their Serie S subwoofers, but that’s where the similarity ends. The 12” carbon fibre cone with a full 4” of travel has excursion, dynamics, and low level detail that is unmatched by any of its competitors. 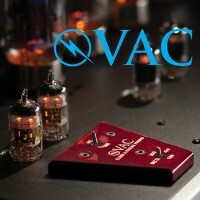 Adding all the other components along with “a host of special tricks and techniques they’ve developed over the years” results in a nearly perfect solution for increasing the LF output of your system. And if you look closer, you’ll see an even smoother, glossier, deeper finish than a standard model. As Nigel Tufnel would say, “how much more black can this be?” This black. A black that puts the black finish on a $100k GT4 to shame. Even cooler is the badge on top of the cabinet; this aluminum badge is triple chrome plated and the black of the REL logo is hand painted in the recess. You might see this kind of thing on a pre-war Delahaye, but not on a subwoofer. The shiny feet receive the exact same treatment. In the end, the Carbon looks and feels luxurious before you even turn it on. To our quality-philes in the audience, you’re going to love it. As with all REL products, setup is easy with multiple options. 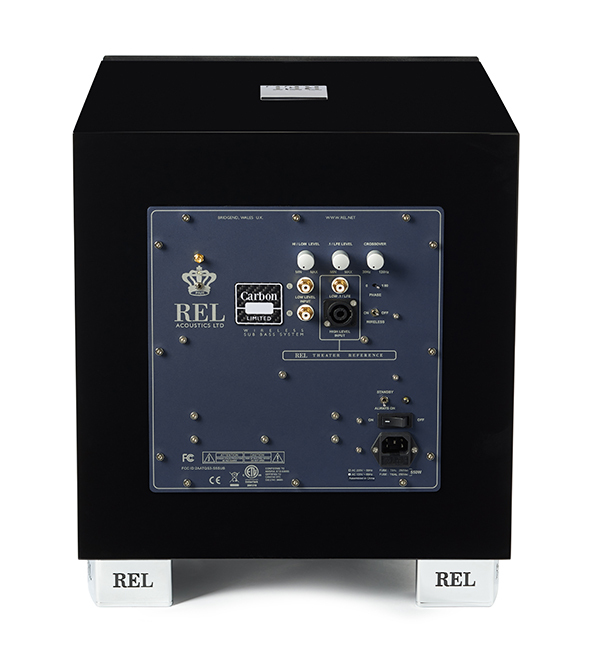 Should you choose not to use REL’s high level connection, which does offer the best sound and best integration with your main speakers, it can still be connected via the LFE channel, or line level outputs from your preamplifier. If you’ve never done it REL’s way, you should, it transforms the experience. 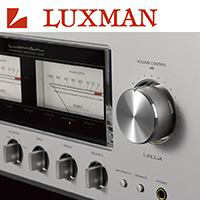 Utilizing the high-level speaker output for connection, the Carbon takes on the low frequency characteristics of your power amplifier and it eliminates the signal from your preamplifier passing through another crossover network. All good things for signal integrity and the biggest possible soundfield. Finally, you can connect to the Carbon wirelessly, using REL’s Longbow transmitter, featuring the same functionality and inputs as the ones on the rear panel of the Carbon. 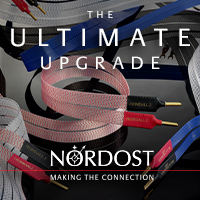 This eliminates the long cables from amplifier to subwoofer and has a range of about 45 feet. You can read the full definition of the Longbow system here, but suffice to say it’s the easiest bit of hardware we’ve ever used. Two switches, and you’re done. As we’ve mentioned in other REL articles, switching back and forth between the Longbow and wired connections reveals no difference in the character of our reference system’s LF performance. The receiver is built into the Carbon, but you will need a transmitter, which has a cost of $300. 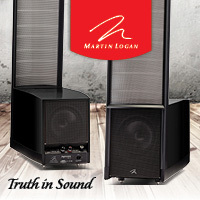 The Longbow can control up to four separate REL’s in mono mode, but if you want to run a pair in discrete stereo mode, you will need two Longbow transmitters. Once you’ve decided how to connect, the rest is straightforward. 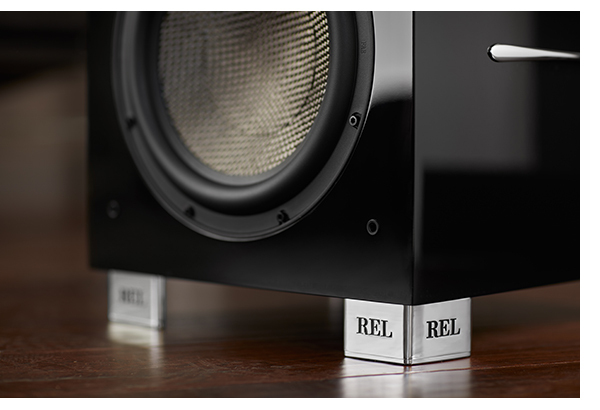 REL features excellent support tutorials on their website, but for a single-driver, cube enclosure like the Carbon, start with the sub or subs fairly close to the room corner, facing your listening position, then slowly adjust the level and crossover point until you just start to hear the sub separately, then back off. To fine tune, bring it out in the room until the bass gets too weak and go back slightly. Mr. Hunter is way better at this than I am, but long story short, when the REL disappears and all you hear is your main speakers going deeper with more definition, and you can’t hear a subwoofer anywhere, you’ve done it right. Correctly optimized, the REL vanishes from your room. 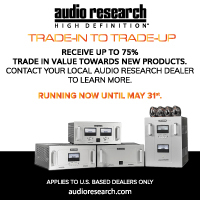 Hint: you can probably go with a slightly lower crossover frequency than you think, but with slightly more output than you think. 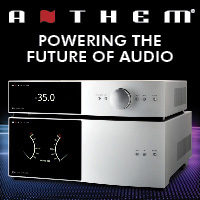 If you are using a pair, start on the other side of the listening room with the settings determined here and fine tune to taste. Hunter is fond of explaining that bass doesn’t just hit you from a small cube in your room, and this is why the 212SE is so successful, as is their stacks of larger subwoofers. Yet, because of the extremely nimble character of the carbon, it does a better job at convincing you it’s a stack of woofers than any other single cube solution we’ve tried. 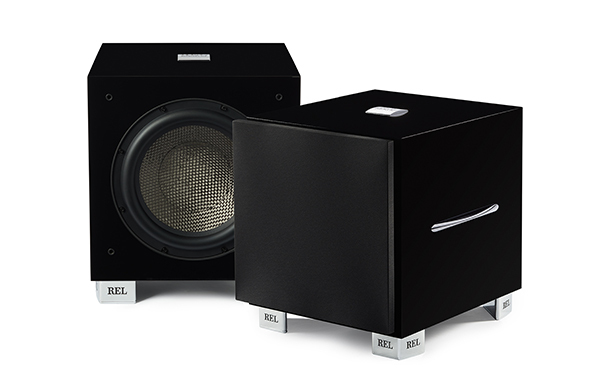 REL subwoofers excel at rendering bass attack and detail – real musical detail. Even when listening to electric bass players, you can tell the difference between someone playing through a vintage Ampeg cabinet and one playing through a Gallien-Krueger cabinet. 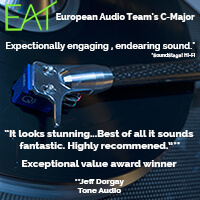 Yet, way too often a home system, even subwoofer equipped, only provides a thumpy, whumpy, one note solution. Thus, the general angst towards subwoofers. 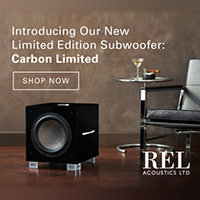 If you’ve used one of the smaller REL subs, you’re in for a treat when you queue up the Carbon. 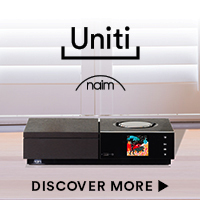 If you’re using someone else’s subwoofer, you’re in for a shock. The funky, irresistible groove in Rufus’ “Tell Me Something Good” shows off the sheer texture in the bass line. Go listen on another system and compare. You’ve never heard that, have you? A similar change is enjoyed with Curtis Mayfield’s classic, “Superfly.” I can do this all night. The other massive bonus that the Carbon offers, thanks to its incredible speed, is the ability to play slightly higher on the tonal scale without drawing attention to itself. Most subwoofers struggle to even reach 50 hz without sounding muddy and muffled, giving the haters more reason to hate. The Carbon sails through, and mates splendidly with your favorite panel speaker as well as nearly any mini monitor you can think of. 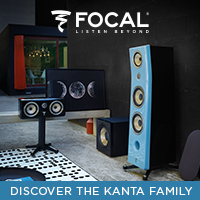 We had a blast pairing the Carbon with the LS3/5a, Harbeth P3ESR, and the recently reviewed Jern 14DS. This has never worked seamlessly with any other sub – and it is perhaps the ultimate test. That lack of cloudiness in the midbass, makes for a stronger, more defined low bass, and that’s really what the Carbon is all about. 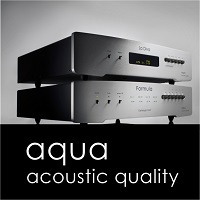 It’s more than forceful enough for your favorite EDM tracks, but subtle enough for your favorite acoustic bass-heavy tracks. Then, shut it off. Even with music that you don’t think is particularly bass heavy. You don’t want to live without the REL effect. 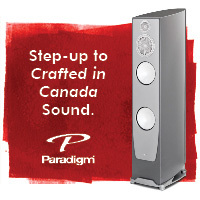 Speaker selection is always a personal thing, but the ultimate choice will come down to the music you listen to most, how high of a sound pressure level you crave, and finally which cabinet your room can accommodate. If you’ve ever sampled one of the world’s finest desserts and came away thinking “I only need a few bites of that,” you have the mindset to appreciate what makes the REL Carbon Edition so special – though both John Hunter and I suggest you get a pair for optimum results. If you have a similar desire for LF response, wanting the quality of the top REL reference subs, yet don’t have as much space to fill, this is the perfect choice. We’re giving the REL Carbon Limited our first Exceptional Value Award of the new year. Get one before they are gone. The additional labor required means they won’t make ‘em forever. Our thanks to REL for the supplied images.